Task: Create an engaging Google presentation personifying a family and the family members of a group on the periodic table. Download the Periodic Table Family Storybook sheet to guide you as you create a fun, engaging ad educational presentation. Exemplar - He is part of an example from the Oxygen Family Storybook. The other family members have been removed to give you a sense of the expectation. You will have two slides for your element. In the first, you will give properties and information about your element. 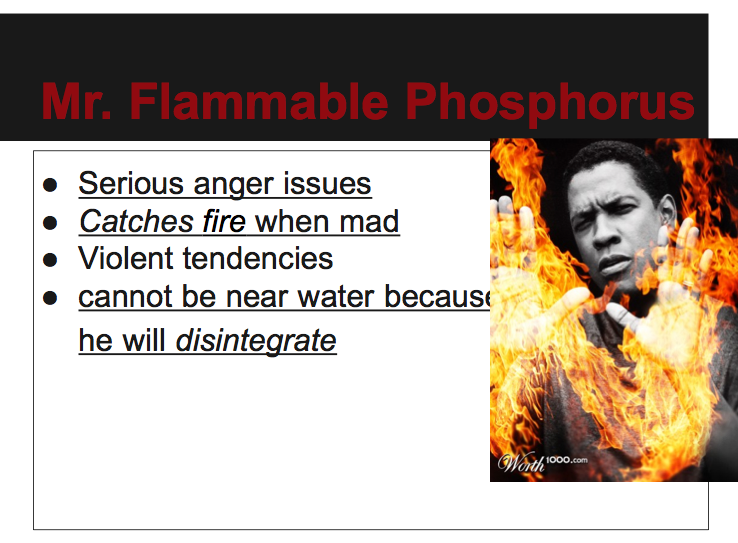 The second slide is a personified version of your element, including an image such as the one below, to help us remember important aspects of your element. When you create a personality for your element, make sure you highlight or underline the personified characteristics that are like the element's properties.